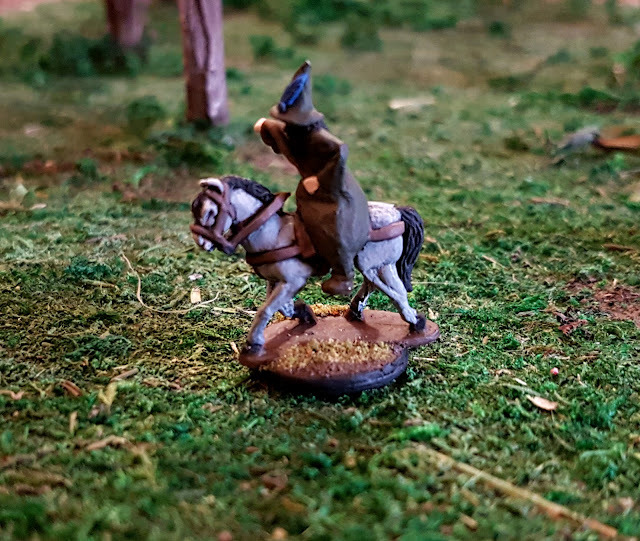 When the Wizard Zinthilas arrived at Waerham's Hold in JADE's Hymns of a Vagabond campaign, he came by Horseback. Since Zin moves with a cane, any time we left the Hold he would ride his horse. 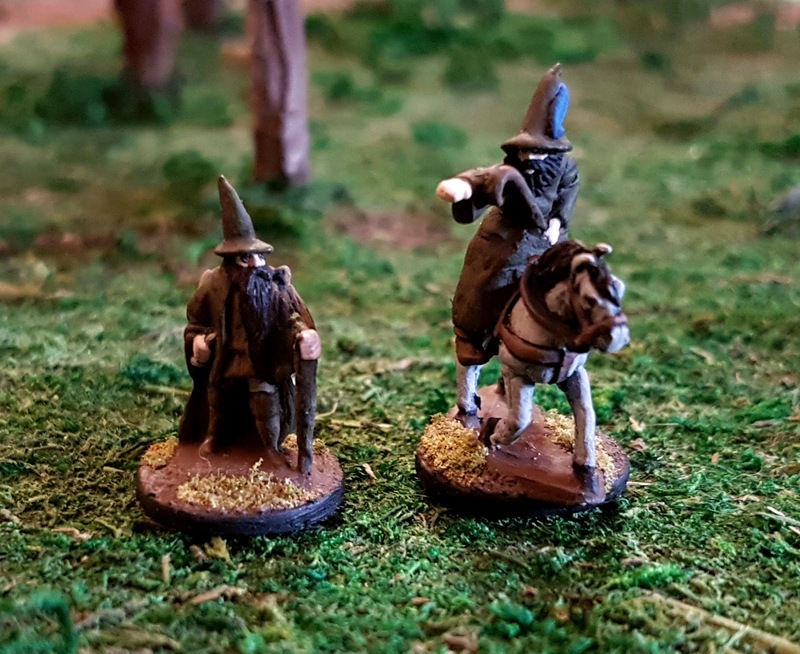 This left me with a problem from a game perspective: I didn't have a mini for him, and there aren't a lot of choices for Wizard's on horseback in the 15mm scale. 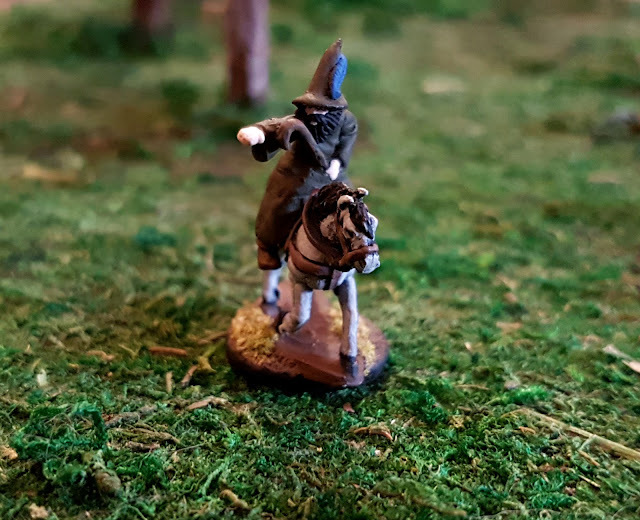 So I took a 15mm Guard on horseback cut off his legs, and then cut torso off of a 15mm Wizard and glued them together, I then used a small amount of Green Stuff to extend the robes over the Guard's chain mailed legs. I think it worked really well! Both the Guard and the Wizard used to make Zin on Horseback, were from Splintered Light Miniatures, and of course you can get Green Stuff from Games Workshop. Since making this mini we have had two games of Hymns of a Vagabond, and I have yet to use it in a battle. Let's hope next game we get the opportunity.